By 1981, it was tempting to pat The Who on the shoulder and thank the group for a good run. After more than 15 years together, the arrival of punk and new wave at the dawn of the MTV era left less room for the band’s blend of classic rock, R&B, and stadium bravado. But The Who had bigger issues to tackle than the evident cultural sea change in front of it. Almost three years after Keith Moon’s death, the band still had to find a way to soldier onward without its rhythmic madman. Drummers come and go, but this was an especially tall order. With perhaps the lone exception of Led Zeppelin, no band relied so heavily on its man behind the kit. The Who was a four-man operation bolstered by the sum of its parts, from Roger Daltrey’s powerful vocals and sense of audience command to Pete Townshend’s expert songwriting and John Entwistle’s signature bass sound. But even with three aces already in hand, the band was not quite The Who without Moon’s frantic but virtuosic drumming. He was the engine that drove the musical machine forward, a fact that made replacing him a daunting task. How do you take the place of a guy who played without precedent, who along with a very short list of others helped redefine the art of rock drumming? You don’t, and in retrospect the band was smart not to try and slap a Band-aid on a sizable wound. So compared to the records that preceded it, Face Dances is a decidedly non-Who sounding Who record. If anything, it hedges closer to the sound and style of Townshend’s solo debut Empty Glass, which was released the year before. It was inevitable that the band could no longer be quite what it once was, not without Moon. 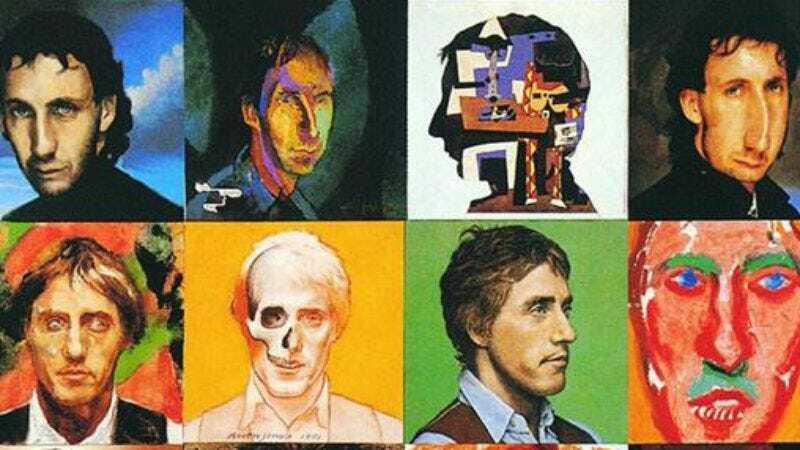 There was no use trying to fill the void, so instead The Who realigned its musical approach, allowing for the most pop-centric record of its career. The band used the services of The Faces’ drummer Kenney Jones, who kept things mostly on the two and the four for much of the record. Gone for the most part were the whirling dervish drum fills, the wailing guitars, and the pre-punk energy the band had long made its name on. In its place were simple, effective pop tunes. Right out of the gate, the band hits fans with “You Better You Bet,” a generous slice of melodic guitar rock that defined the parameters of the band’s new direction. Then the band doubles down on its newfound pop simplicity with “Don’t Let Go The Coat.” Two tracks in and already the days of “Baba O’Riley” and “Won’t Get Fooled Again” feel like products of a distant past. The rest of Face Dances continues to make honest stabs at contemporary rock and roll. When it works, as it does on the bluesy bar band jams “I Like Nightmares” and “It’s In You,” the effect is pleasant, even if it lacks the firepower Who fans have become accustomed to. When tracks like the T-Rex-leaning “The Quiet One” misfire, they’re easy enough to brush off. That more or less in a nutshell sums up Face Dances, a record that’s very likable in its best moments and easily dismissible at its worst. Fortunately the tunes hit more than they miss. That rings like a lukewarm endorsement for a band that penned some of the most timeless songs of the ’60s and ’70s. But Face Dances’ most winning quality rests in the quiet determination of a legendary band grappling with huge personal and creative losses. “We all get it in the end,” Daltrey professes on “Another Tricky Day.” “We go down and we come up again.” This album might represent The Who in its twilight years, but there’s still some fight left in the band. It’s unlikely that anyone expected The Who to be perfect on Face Dances, and it certainly wasn’t. But if the record fails, it’s only by the band’s own ridiculously high bar. The Who on Face Dances isn’t the band that built its reputation on smashing guitars and blowing up drum kits on live TV. This is a band choosing to leave theatrics at the door for the sake of trying to wring out the best songs it has left in it. The Who’s first official breakup came the next year, following 1982’s underwhelming swan song It’s Hard. But at least Daltrey, Townshend, and Entwistle rallied for a solid record’s worth of meat-and-potatoes pop rock before fully relinquishing its rock crown.